While the Coast Guard is part of the United States Armed Forces, it is not a part of the U.S. Department of Defense. It is actually a military branch within the Department of Homeland Security, and throughout its long history, it has also been a part of the Department of the Treasury and the Department of Transportation. To celebrate the Coast Guard’s 228 years of service, we’re giving you nine things you need to know about the service branch, so you can really celebrate the Coasties. Originally known as the “Revenue-Marine,” the first Congress of the United States signed what was the precursor to the Coast Guard into existence on August 4, 1790, to prevent smuggling and enforce federal tariffs. The Continental Navy was disbanded in 1790 after the Revolutionary War and the newly-founded U.S. Navy didn’t set sail until 1798, making the Coast Guard the oldest continuous seagoing service in the United States. The Maritime Security Response Team (MSRT) performs an approach exercise. The Maritime Safety and Security Team (MSST) was created in 2002 as a direct response to the terrorist attacks of September 11, 2001. The team is a quick-response force dedicated to shoreside anti-terrorism, which protects the United States’ seaports, waterways and high-interest shipping and vessels. It is also the only special operations forces team that can arrest submerged SCUBA divers! The Maritime Safety and Response Team (MSRT), another unit, is the only Coast Guard team that has counter-terrorism capabilities – it is a ready and deployable assault force that trains with Navy SEALs, and is the first on the scene in response to terrorism threats. Anthony Christy, the oldest active serving Coast Guardsman, died on duty in September 1862 at the age of 105. He was serving as the keeper of the Christiana Lighthouse in Delaware at the time and remains the oldest lighthouse keeper on record. 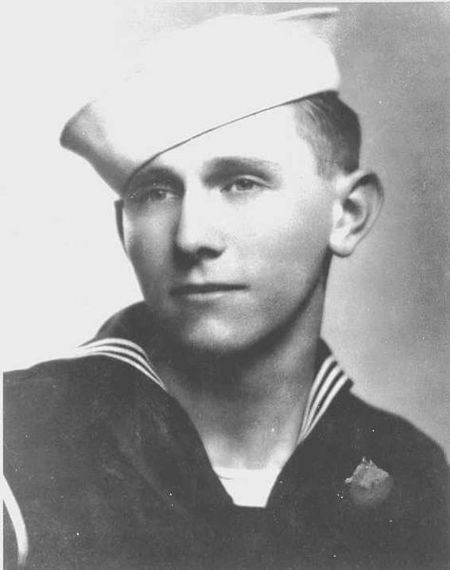 Douglas Albert Munro, who served during World War II, is the only member of the Coast Guard to receive the Medal of Honor. During the Guadalcanal Campaign in 1942 in the Pacific, Munro selflessly put himself in harm’s way to cover the evacuation of U.S. Marines under heavy enemy fire by bringing his boat to shore to serve as cover, and was fatally wounded in the process. His final words were only of concern for his fellow service members: “Did they get off?” He was posthumously awarded the Medal of Honor for his bravery and sacrifice. 5. All Paws on Deck! 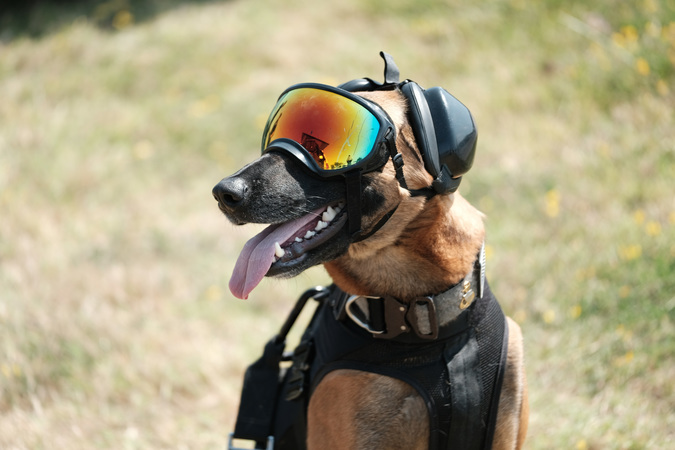 Several animals have served as companions or mascots to the Coast Guard in its 228 years of service, including explosive detection dogs that are used in operations today. The most famous of them all might be Sinbad – an infamous dog who served aboard the USCGC George W. Campbell throughout World War II. Aboard the cutter during anti-submarine warfare and combat with Nazi forces, Sinbad was assigned the rank of K9C or “Chief Dog” (chief petty officer) and was treated as a member of the crew. He was awarded six medals for his service, and after 11 years aboard the Campbell, was honorably discharged in 1948. He is the first member of the Coast Guard to have been the subject of a published biography. Ricky, a Belgian Malinois, is part of the Maritime Safety and Security Team (MSST) and works as an explosive detection dog. Photo Credit Chief Petty Officer Brandyn Hill/U.S. Coast Guard District 11. 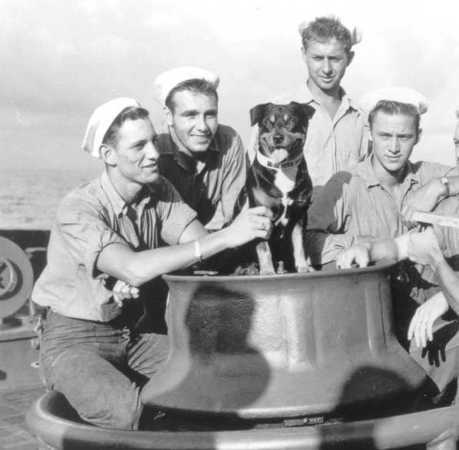 Sinbad, the U.S. Coast Guard mascot in World War II, aboard the Campbell. Photo Credit U.S. Coast Guard Historian’s Office. International Ice Patrol? Yes, it’s a thing! After the sinking of the world-famous RMS Titanic in 1912, the International Ice Patrol was founded. It is still operated today by the Coast Guard, which monitors the locations of icebergs throughout the Atlantic and Arctic Oceans, and sends alerts to any vessels passing between Europe and the United States and Canada, assisting them as they navigate frigid waters. The U.S. Coast Guard Cutter Douglas Munro sails past Margerie Glacier in Glacier Bay National Park, Alaska. On an average day, the Coast Guard saves the lives of 10 people, with about 45 search-and-rescue cases every 24 hours. It responds to more than 15,000 search-and-rescue cases along the 100,000 miles of United States coastline and waterways each year. 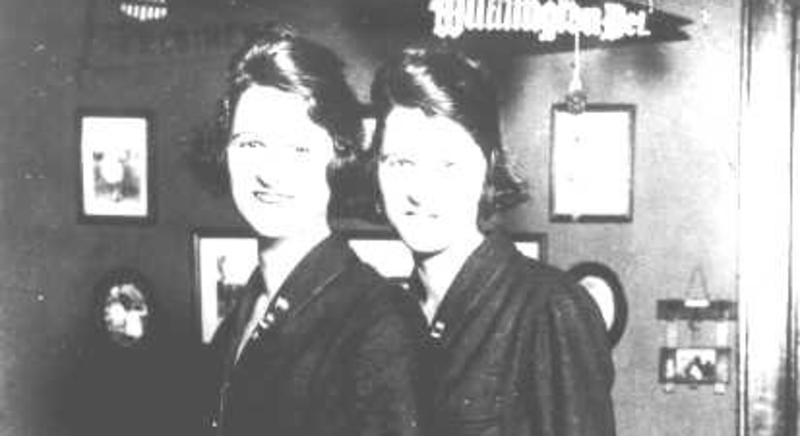 Twin sisters Genevieve and Lucille Baker became the first uniformed women to serve in the Coast Guard in 1918. They were both 19 years old and served throughout World War I at Coast Guard headquarters in Washington, D.C.
With about 40,000 active-duty service members, the Coast Guard has fewer personnel than the New York City Police Department. Over 1,200 of those active-duty service members are stationed abroad – most of them in Bahrain. Its comparatively smaller size makes the scope of the Coast Guard’s work and responsibilities all the more impressive! Thank you to the Coast Guard for all that it does in keeping our shores and waterways safe!